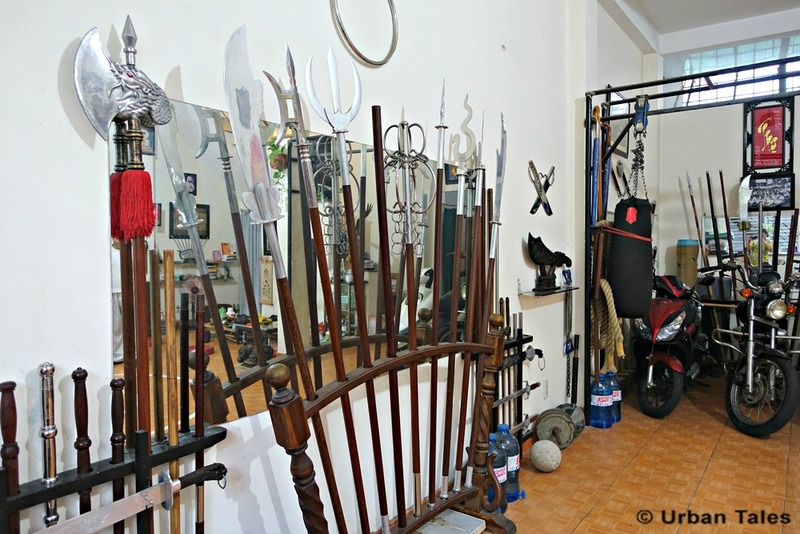 In Vietnamese, “Võ Cô Truyên” means “traditional and ancient martial arts”. It has been practiced for more than 5.000 years and is a generic term which refers to all styles of ancient local martial arts. The story of the Võ cô truyên is intimately linked to the history of Vietnam. Because of the successive invasions and occupations in the country, there is little evidence and archives about it, as it seems that the Võ cô truyên had to evolve and develop clandestinely. It was rooted in the necessity of self-defense in order to ensure survival, using both “brain and brawn” and it constantly evolved over the centuries. The Võ cô truyên is taught in a multitude of schools, each one of them having its own technics and styles (“môn phái”). 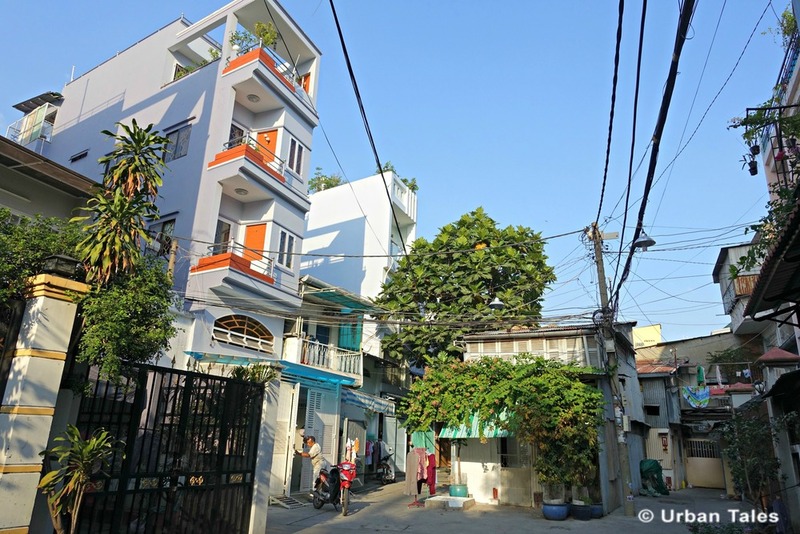 All the schools are unified by a federation, the « Lien Đoàn Vo Thuat Viet Nam Truyen Cổ », which requires certain criteria to recognize their authenticity. However, each school has its own cultural and philosophical heritage developed through the “Bai Thao” (practicing sequences) and its own independence and specificities. The routine practice consists in fighting sequences using empty hands or incorporating the use of traditional weapons (stick, sword…) as well as other unarmed techniques (including respiratory and meditation technics). 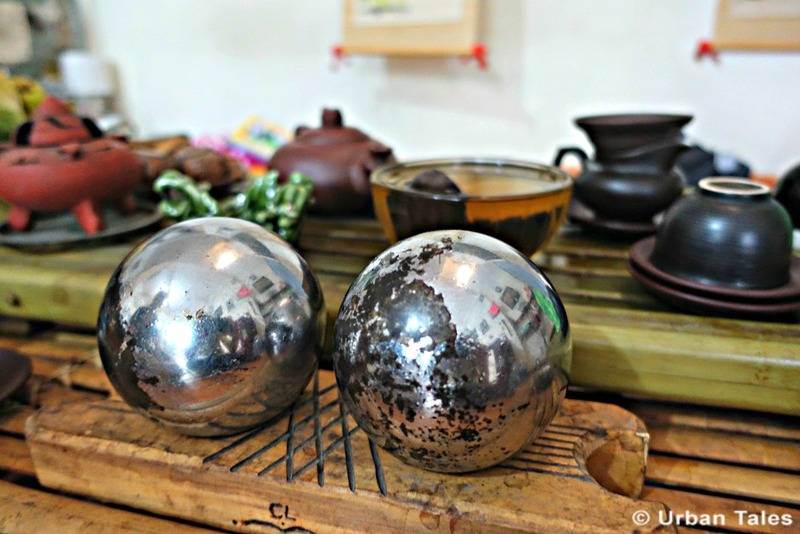 The Võ cô truyên has a strong philosophy and ethics reminding us of chivalry culture. Respect and courtesy for the opponent and well as honor and loyalty are key values in the spirit of this martial art. It both shapes the body and the mind. 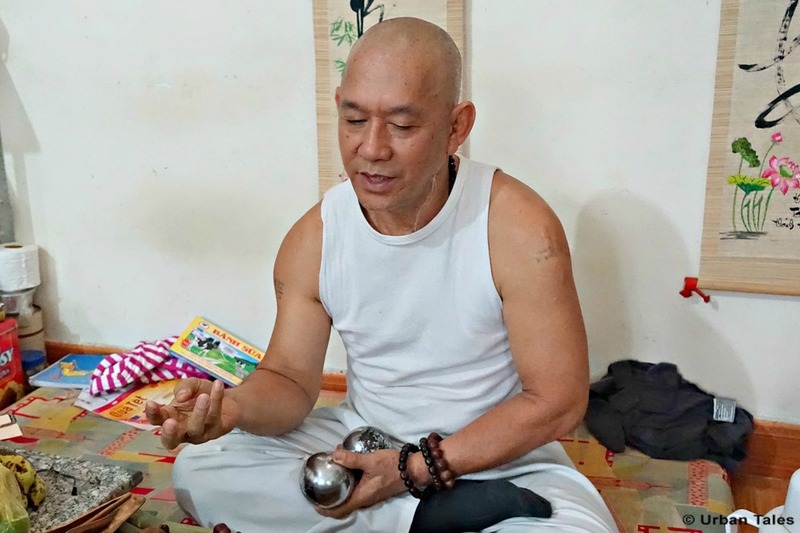 We’ve been lucky enough to meet Master Hai who teaches Võ cô truyên in Cholon. 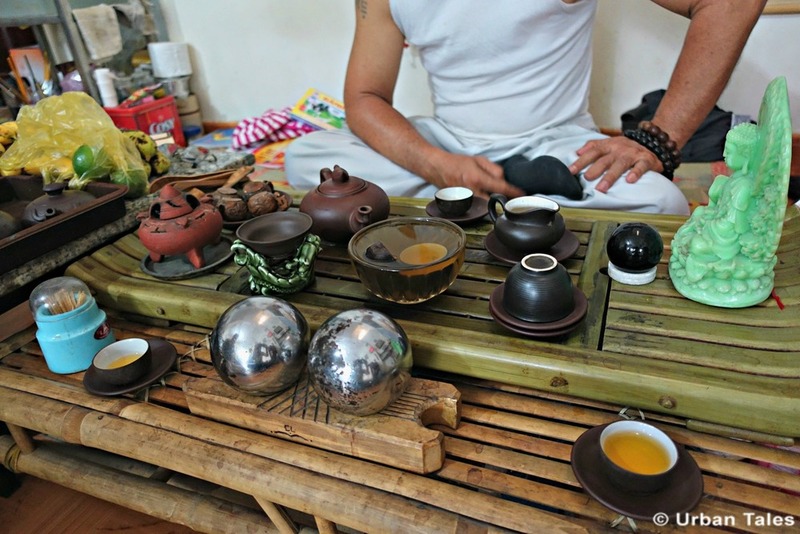 He welcomed us at his place and offered us some strong green tea. At 60 years old, this very sweet and calm man has been a Võ cô truyên Master (“Võ Sư” in Vietnamese) for 30 years and he’s been teaching at his place for more than 6 years now. 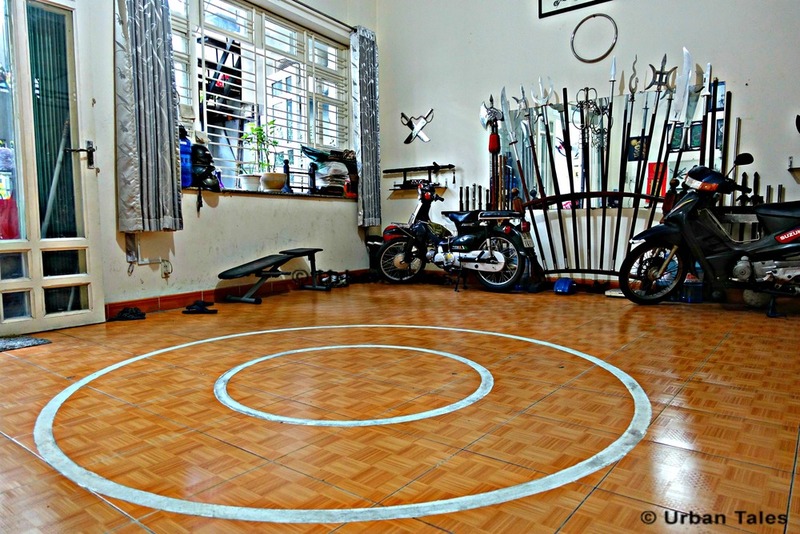 He gives lessons in his living room to small groups of 3 to 4 persons maximum in a family atmosphere. All together, twenty regular students come to follow his classes at his place; some of them come every day. His students range from 8 to 60 years old! Some of them have been following his teachings for years with devotion, such as a French student that has been following his footsteps for 15 years. 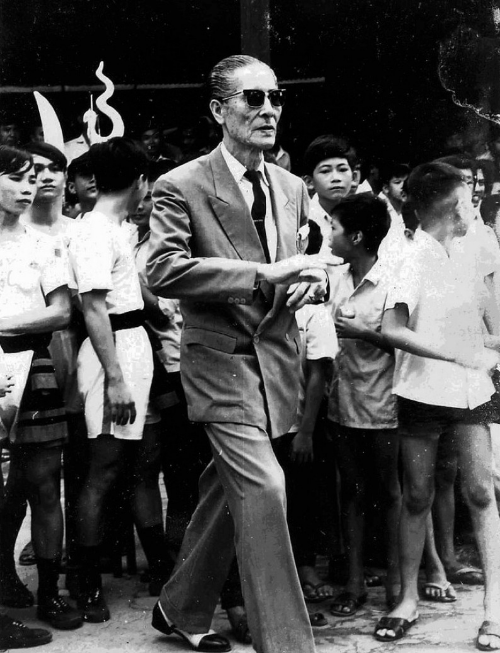 He first followed the classes of revered Master Truong Thanh Dang, the founder of the school “Sa Long Cuong”. It took him 10 years to progress and become a Master. After the death of his Master, it seemed only natural that he took care of the school. The main reason Master Hai loves his job is because he is passing on his knowledge as well as teaching the whole culture hidden behind traditional martial arts. And it’s a real passion. For him, it is essential to put into practice the theory learned in martial arts. In Vietnamese the verb « học hành » (= to learn) really says it all: « hoc » is learning and « hanh » is practicing. They go together. If we learn without practicing, it would be in vain and vice versa. Learning “Võ cô truyên” is learning moral values and rules of good conduct, it is also learning how to behave in different life situations. 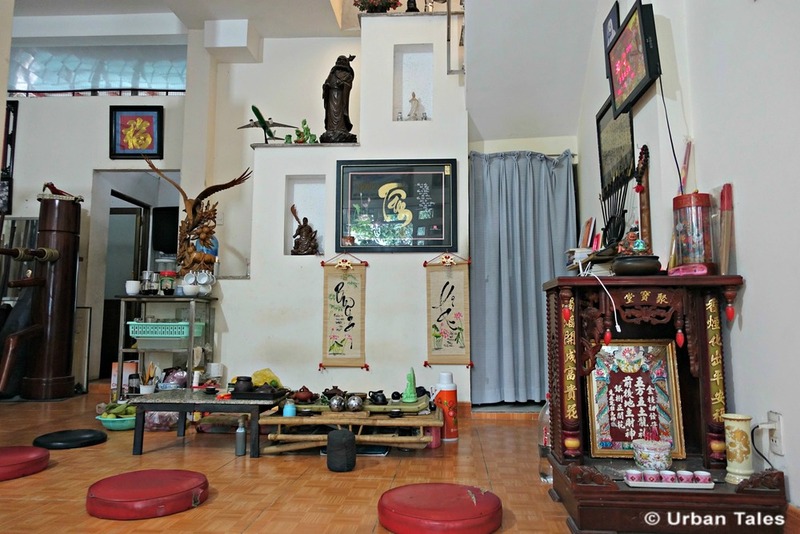 Master Hai lives in a quiet hem next to Tran Hung Dao St. 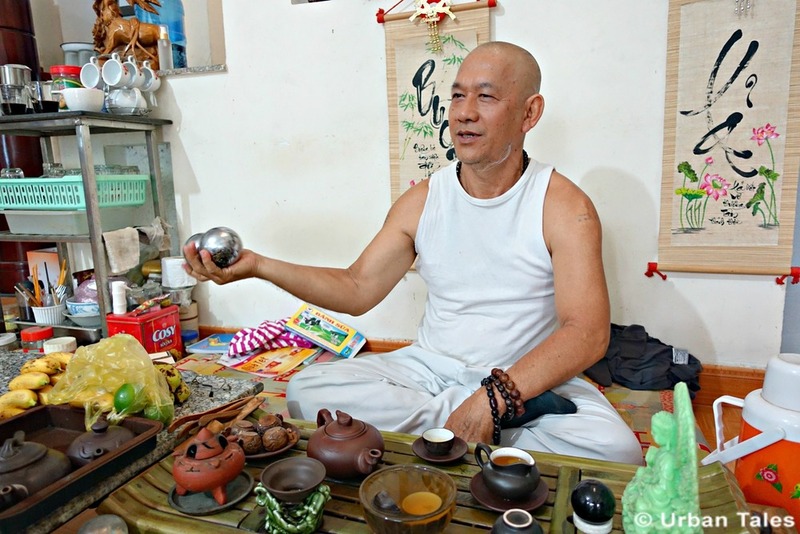 In their spare time his two sons practice Võ cô truyên but are not as passionate as their father was at their age. The eldest is a 3rd year medical student and the youngest is in his 4th year of business studies. Master Hai’s wife works as a hairdresser in the front part of the house. His house (and Võ cô truyên school) is in the back shop. 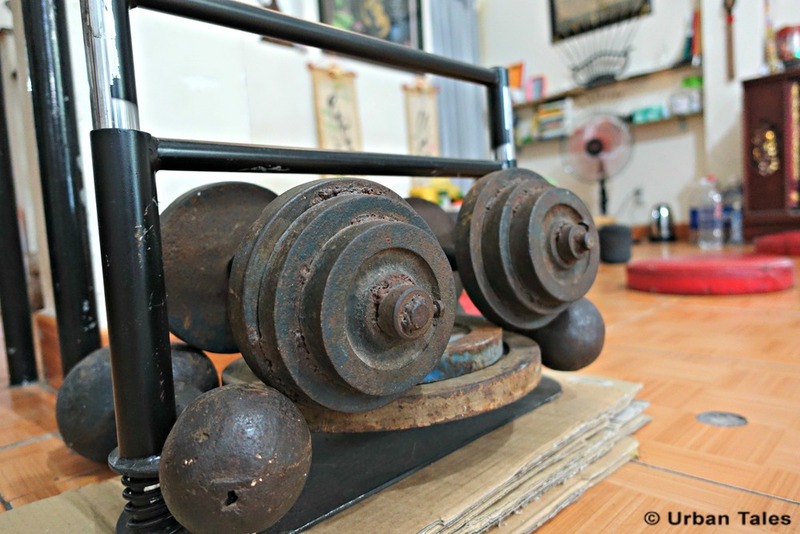 He kindly shows us some common warm-up exercises using very heavy metal balls, each one is 2,5kg. He holds 2 balls in one hand and makes them roll in his palm with his 5 fingers, clockwise and counterclockwise. Master Hai tells us about the meaning of the color of the belts (grades) from the lowest to the highest. His school Sa Long Cuong has its own belt system which is a bit different from other schools. 1. Black: refers to the night, the cold and the darkness. It’s the color of the beginners with low knowledge. 2. Blue: refers to the color of the sea, the hope, the sky. At this level, students start to see some light through the darkness. Blue is as well the color of the bruises we have on our own body while practicing…! 3. Red: refers to the intense heat of the light starting to reach the student while he’s starting to have a good command of technics. In this phase, he’s gone through lots of practice, and the “Võ cô truyên” has entered his body and is flowing in his blood. At this level, you can become an instructor. 4. Yellow: Yellow is the highest level in Master Hai’ school; it refers to happiness. At this level, a student must know all the technics. He feels very happy and strong. When you reach 4 yellow bands you have the absolute mastery of the Võ cô truyên and you have reached the title of “Võ Sư” (Master). 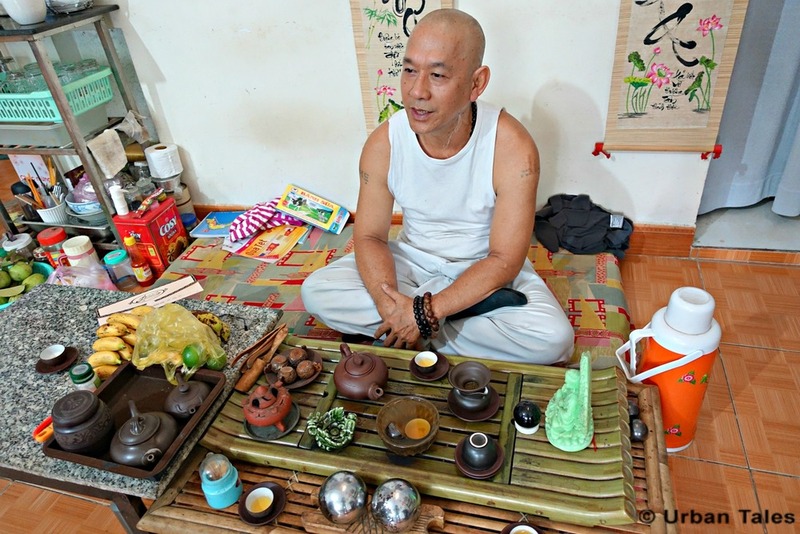 There’s no age to start Võ cô truyên, so why not give it a try if you are interested? It could be part of your resolutions for 2016! 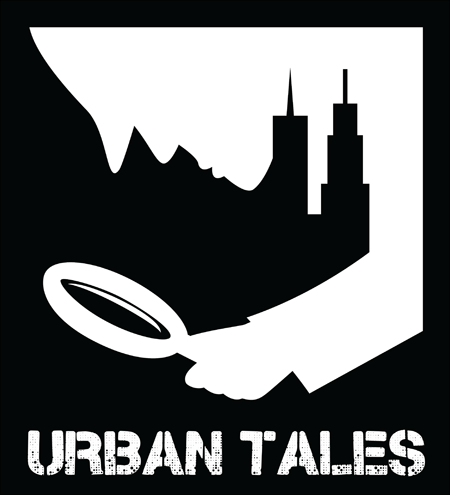 If you want to discover the heart of Saigon’s Chinatown and its vibrant atmosphere, book our self-guided tour and come investigate the strange case of Dr. Lam!